Today we went to the city of Davao far in the south of the Philippines, and very close to Indonesia. The city is famous for its white sand beaches, and a VERY stinky, delicious fruit called durian. It's so stinky, in fact, that the Singapore government bans it on all public transportation. Our mission today was to train a group of the city Congressman's university scholars. They are a core of students that he sponsors to go to university. We arrived and met the most amazing member of the Congressman's staff, Boi. Boi served the Congressman's father, a former congressman himself, and now serves Cong Karlo (as they call him). 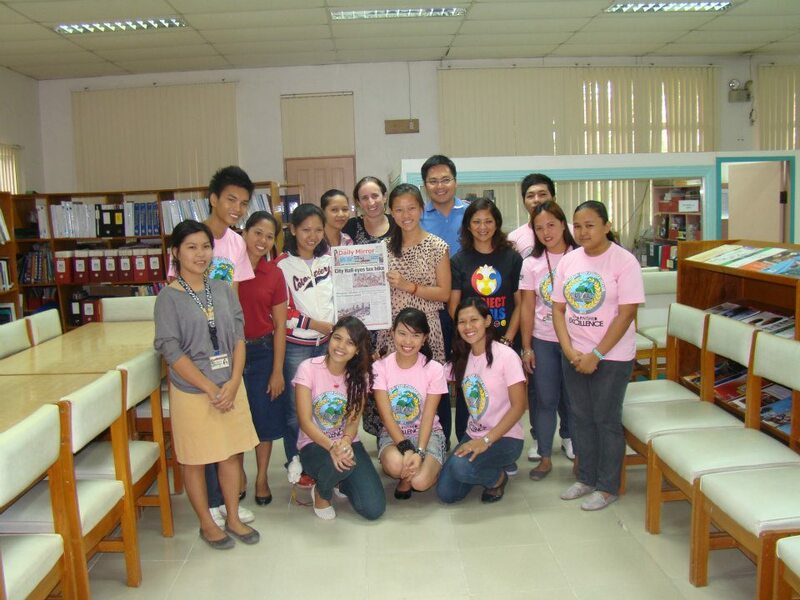 He took us to the University of Southeastern Philippines where we met the core scholars and Cong Karlo. Get ready for some amazing news: this core group of scholars and Cong Karlo have forged connections with at least 3 different universities and the spouses of other congress members to bring the LitClub program to children all over the city! Cong Karlo's core would be the "trainers" and first batch of leaders. They want to train others and start many more LitClubs. We played the name game, sang the hello song, taught them Tuwe Tuwe, which is rapidly gaining popularity amongst filipinos, modeled a read aloud, showed them the new curriculum, modeled turn and talks, sang the goodbye song, and shared with each other our hopes and dreams for the LitClubs. We came back feeling wonderful about the clubs in Davao, not to mention a LOT of durian, currently stinking up the fridge and freezer in Pam’s hotel room. It was a great day! Tomorrow morning we're going to the PEARLS site one last time to say goodbye to the kids, have breakfast with kristine from the Vibal Foundation to solidify the ambassador role here, and then to the airport for our flight back to NYC! I'm looking forward to the space and familiarity of the city, so that I can process all the things we have seen and done. This trip was so fruitful, showing us what is happening in the Philippines, where and how to run LitClubs, and who can help us reach our goals. All in all a wonderful discovery trip!